Jojo Moyes’ Me Before You, the emotional bestseller that brought countless fans to tears, hits theaters across the country this week. On June 3rd many of us will be seen walking out of movie theaters with red-rimmed eyes and all the feels, glad to have been able to spend some time with Louisa and Will and to witness their unexpected love story on the big screen. Books and movies that have the ability to bring fans to tears often stay with us long after we have experienced them. If you enjoyed the Me Before You or the book (or film adaptations of) The Fault in Our Stars, or Wild, you may also find yourself hoping for movie adaptions a few of the books below as well. Make it happen, Hollywood! Everything changes for Cadence Sinclair during her fifteenth summer at her family’s beach. As Cadence struggles with memory loss, physical injuries, and a secret that no one is willing to share, she is also growing into adulthood. After spending the next summer in Europe, and then finally returning to the family’s beloved summer house on the island, Cadence has to face some harsh realities about herself and her cousins. In much the same vein as the twisty Gone Girl, readers will find themselves by turns sad, frustrated, amazed, and shocked. 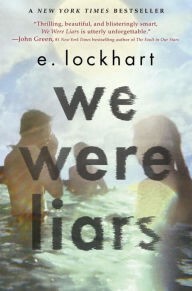 It’s nearly impossible to read this book without having some strong feelings, and a movie adaption would be irresistible. I wept, a lot, while reading Dave Pelter series of memoirs. At turns devastating and hopeful, producers could film a heck of a tearjerking masterpiece of Oscar material with this set of books. Why this material hasn’t yet been tapped for a movie is almost inexplicable. Depicting Pelzer’s journey from an abused child to an adult who has to learn to cope with his terrible past, and eventually to thrive, is as heartbreaking as it is inspirational. A film that blends the realism of Wild with the elements of a damaged childhood like Room would no doubt rack up some nominations…and plenty of drenched hankies. 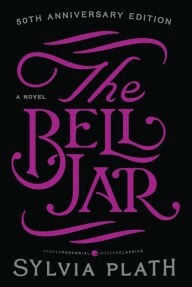 Granted, there is a Bell Jar film from 1979. There is also the Gwyneth Paltrow/Daniel Craig film Sylvia, which loosely covers the author’s more autobiographical material. But a real, gritty, earnest look at the health care system and the borderline torture that Esther Greenwood underwent during a mental breakdown in the 1950s would make for a devastating film. This novel, which explores the pangs of teenage love and rejection, along with the pressures to achieve perfection in a competitive world, is timeless — maybe even more so today. 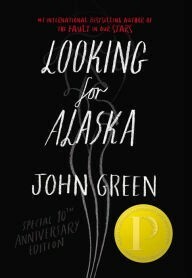 John Green is the brains behind many of our beloved sob-inducing books and movies like Paper Towns and The Fault in Our Stars, and Looking For Alaskawas his first novel. Miles Halter is a high school junior, with a penchant for darkness, who is on his way to a new boarding school. As he takes on new friends Chip “The Colonel” Martin, and Takumi Hirohito, along with crush Alaska Young, the journey unfolds into a series of pranks and personal revelations. The more that each character reveals, the more readers begin to worry. The end, which I won’t spoil here, is a heartbreaking series of events that places it among the ranks of A Separate Peace (another must read weepy classic) and Me Before You. 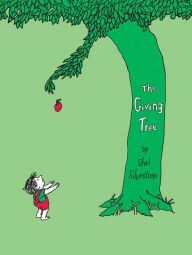 Just ask any parent the last time they cried over a children’s book and you will mostly definitely hear someone say The Giving Tree. From the master of poignant children’s literature, this classic tale of self sacrifice to one’s children will make you cry every single time. 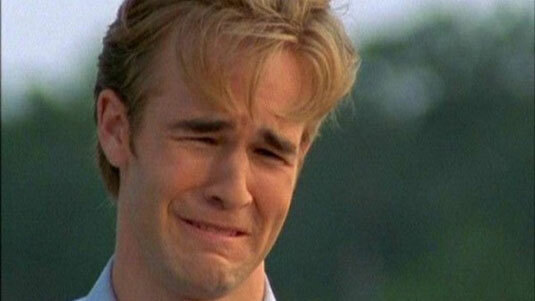 And not just cry, I mean Dawson’s Creek ugly face cry crying. Given its brevity, the book may be hard to adapt, but if Hollywood can turn Where the Wild Things Are into an emotional film about parenting and birth, than I have faith that we will all be sitting together crying about The Giving Tree one day. I’ll save you a seat. 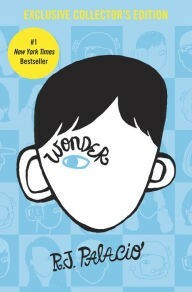 A film based on Wonder is currently in production, and it is no surprise, seeing as this is a beautiful novel that is beloved by kids and adults alike. 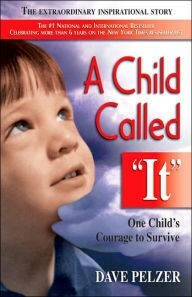 The story of middle grade boy with birth defects that leave him extremely disfigured, and the struggles he has while attending school for the first time, is a universal tear jerker. Who hasn’t felt out of place, or longed for acceptance in some way? Who hasn’t been betrayed, fought for, or lost a friend? Despite its middle grade labeling, all readers can find something of themselves in main character Auggie. In the same way that The Lovely Bones and The Fault in Our Stars touched fans of all ages, this movie could be popular among all ages. 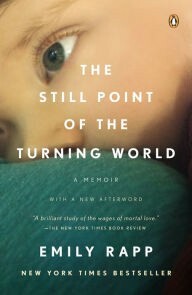 Emily Rapp’s second memoir is a book like few others. At six months old her son Ronan was diagnosed with Tay-Sachs, an always fatal genetic disorder. In an attempt to find a path in a world that no parent ever expects to inhabit, Rapp takes readers through the emotional, physical, and intellectual stages of grief. Readers also are shown the absolute beauty in loving the small things, in embracing the entirety of life. More than story of grief though, this is a story of fierce — even staggering — unconditional love. Which beautiful, sad, books do you want to see in theaters?